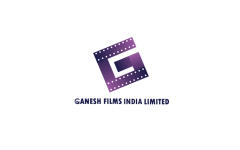 Business description - Ganesh Films’ business includes theatrical distribution of south Indian films (including Tamil, Telugu, Kannada, Malayalam and other regional films) in the Distribution Territory through media platforms like internet, mobile phone and other platforms. The promoters have vast experience in theatrical distribution of approx. 450 south Indian films (including Tamil, Telugu, Kannada, Malayalam and other regional films) in the Distribution Territory. In the year 1991, Ganesh Films initiated for first time simultaneous release of Tamil movies in the Distribution Territory and in south Indian territory with the famous Tamil language crime drama film ‘Thalapathi’ starring Rajnikanth, Mammootty, Amrish Puri and other famous film stars directed by Mani Ratnam. The company currently has a library of over 696 south Indian films in which it has sole, irrevocable and non-exclusive distribution right (including linear & non-linear internet rights / IPTV rights / digital rights under copyright to license, sub-license, distribute, advertise, market and otherwise exploit any platforms or internet or digital based medium) to use the contents / titles for a perpetual term for all the territories in the world including India. Ganesh Films IPO allotment status will be available on Bigshare Services' website. Click on this link to get allotment status. Is this a joke??? Profits in just thousands of rupees and still bringing IPO!! !